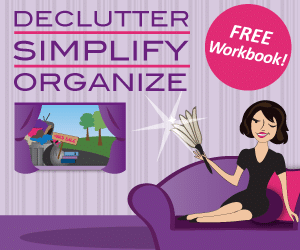 It’s possible to declutter an entire house, and it’s possible to do it in a month. Not sure if that’s realistic? Here’s a plan for decluttering a house in one month, along with some specific tips, steps, and ideas to consider. That way anyone wanting to get their house looking great, or anyone who just wants to find things and have them in their proper places, can take the next month and get that done. Having a clean space that’s not cluttered and chaotic makes it easier to locate anything that’s needed. It also makes it less stressful, and can improve mood and make people feel better about their space as well. In order to declutter properly, it’s necessary to have a game plan. There are all sorts of ways that can be undertaken, but among the best ways are to plan everything out, dedicate each week to a main area or areas of the house, and delegate tasks in order to make sure one person isn’t getting too overwhelmed with everything. With a good game plan, things seem far less overwhelming. They’re also easier to tackle physically, and they can actually get completed so everyone can move on to the next thing. Whether it’s a small house or a mansion, decluttering really can be done in a month. The first week, tackle the bathrooms and the kitchen. Those are places where there isn’t usually a lot of clutter on countertops and surfaces, but where drawers and cabinets could have a lot of excess items in them. Go through and throw away any expired items. Give away or sell anything that’s unopened, in good shape, not expired, and not being used. Donating these kinds of things to a homeless shelter or a local food bank is a great way to declutter a house and help others at the same time. Buying organizers for some of the drawers can also help things stay neater in the future, to avoid the need for more decluttering later. A lot of people forget about the garage, or they think they’ll tackle it last. But going through it in week two is a good way to get it out of the way. It also frees up plenty of space for any items that legitimately need to come out of the house and be stored in the garage. The main rule for the garage is that there’s probably a lot of stuff in it that isn’t being used and really isn’t needed. Donating a lot of items or having a big yard sale – and then donating or scrapping what doesn’t sell – frees up the garage for things that actually belong in it, like the cars. Check out some more garage organizing tips here. The bedrooms are likely breeding grounds for unused clothing in the closets, extra shoes under the bed, and toys that the kids stopped playing with years ago. But all of those things can be packed up and given to someone else who can use them more. Make sure every place in the bedroom is thoroughly checked out, including under the bed, all the drawers, any cabinets or shelving, and the back of the closet, too. Then there will be peace of mind, better sleep, and clutter-free bedrooms. Not sure what to donate and what to throw out? Consult our guide. Because these places are high-traffic areas, they can accumulate a lot of clutter very quickly. People move through them all the time, and they set things down during the course of the day. If those things don’t get picked up again and put where they belong, they can just end up in a pile of other things over time. It happens quickly, and can go from neat to messy in the matter of just a couple of days. That’s not good news, but fortunately it doesn’t take too long to go through and find good “homes” for the things that are sitting around. One of the best ways to get things done when it comes to decluttering a house is to delegate tasks to family members. That way everyone has something they need to do, and no one ends up trying to do something that someone else is already doing. Creating a schedule or a calendar for the goals and plans everyone has helps, as does talking things over to see where areas might be getting missed. In short, it’s vital to focus on having a plan before getting started, to reduce the overwhelming feelings that can come with decluttering a home and to ensure that the one-month plan comes to fruition. This entry was posted in Clutter, Home Organization. Bookmark the permalink.